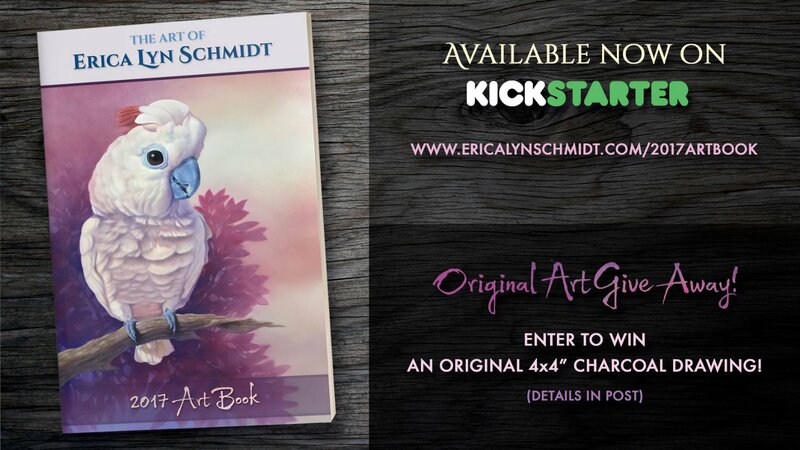 Erica Lyn Schmidt Kickstarter Art Book and Original Art Giveaway! Erica Lyn Schmidt is running a Kickstarter for her very first art book! It features stunning bird paintings and highlighters her traditional mixed media painting technique. Check it out here! If you pledge, in addition to the book and art print options, there are several original art choices, including two paintings as well a commission option! The book funded in less than 4 hours and has already reached it's first stretch goal! The Kickstarter runs until September 27 and those art pledges are limited, so don't wait!